Today, the tempo of our lives is moving at a faster pace than it ever has before. The overwhelming pressures and increased demands placed upon us leave us with little time in which to unwind. One of the easiest ways of bringing a little rest and relaxation into our lives is by taking a hot herbal bath. Soaking in a bath is not only an enjoyable way of reducing tension in itself, but by adding herbs to your bath, you can further enhance its healing properties. Herb baths were popular in ancient Greece and Rome; being enjoyed both for their healing and beautifying properties. Herbal baths have been show to have a powerful effect on the mind. 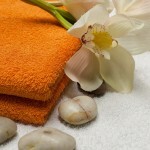 They encourage feelings of calmness and relaxation or stimulate and invigorate us. When herbs are added to our bath water, they are absorbed through the skin and travel directly into the bloodstream, where they influence our inner systems with their active components. 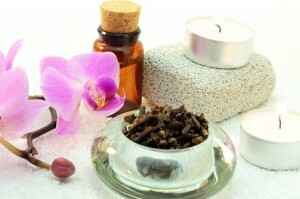 The range of herbal bath preparations that can be blended for an exquisite bathing experience are endless. Dried herbs work best for use in herbal baths. They can be purchased at your local health food store and are many times sold in bulk. When selecting your herbs, make sure you are buying dried, raw herbs. These should look like the flower, leaves or stem of a plant. Ground, powdered or encapsulated herbs are not recommended. The herbs you select for an herbal bath also need preparation prior to climbing into this little bit of heaven. While it may seem romantic to surround yourself with these little jewels of bliss, it is best if you don’t. What you will find as you leave this little corner of paradise is an empty tub coated in soggy herbs or a tub filled with water and a clogged drain. To avoid this, dried herbs are traditionally placed in cheesecloth and secured into a bundle. The bundle is then steeped, like a tea bag, in boiling water for 20 minutes, with the herbal tea being poured into your bath water. A much less traditional but effective way of preparing herbs for an herb bath is to use your automatic drip coffee maker. To prepare your herbs this way, simply put a regular coffee filter into the basket of your coffee maker and add the selected herbs to the basket. Then fill the coffee maker with water and turn it on. Allow the water to fill the carafe as if you are making a pot of coffee. Once completed, pour this magical blend into your bathwater. For an even stronger potion, steep these same herbs a second time, using a fresh pot of water. This also allows you to maximize the full potential of your herbal blend. To get the most from your herbal bath, the water temperature should be around 96-98 degrees. Higher temperatures will make you sleepy, while cooler temperatures, around 92 degrees, can be relaxing and refreshing. In turn, a bath with water around 70 to 85 degrees is energizing to your body and spirit. Here are a few herbal bath combinations that will nurture your body, mind & spirit. For each blend, mix equal parts (unless otherwise noted) of the dried herbs, for a total of ½ to ¾’s of a cup, pour your herbal blend into the tub and enjoy your soothing, relaxing herbal bath. *Add these ingredients directly to your bath water. To enhance and deepen your relaxation experience even further, try lighting a scented candle, playing soft music or reading a good book. These ideas have been know to help further your feelings of pleasure and enjoyment. A herbal bath not only feel good, but they help us to transform the stress filled energy of our daily life into positive, rejuvenating, healthy energy. So relax and enjoy! Tagged alternative health, alternative health therapies, healing, herb, herbal bath, herbs, holistic health, relaxation, stress relief.